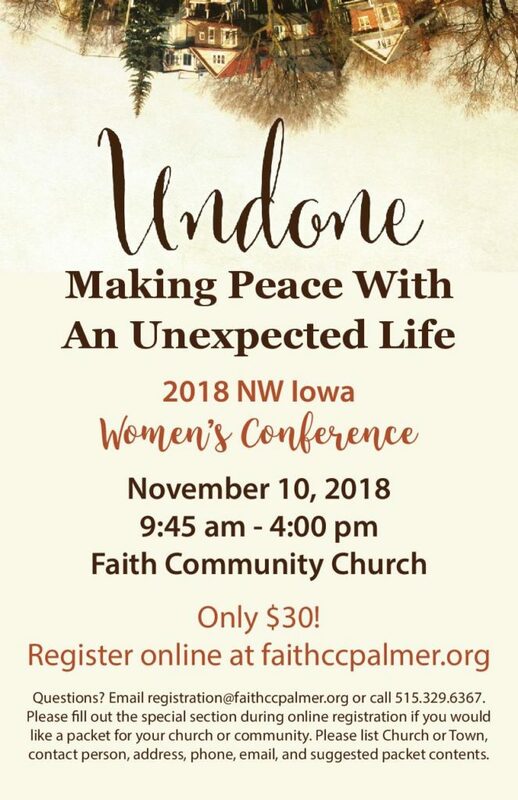 Attention Ladies, You are invited to join other women from our region for the annual Northwest Iowa Women’s Conference on Saturday, November 10, 2018. This will be a time of building relationships, growing in the Lord and being challenged in your faith. Time: 9:45 a.m. – 4:00 p.m.
What if I’m unable to print my ticket? You could show your ticket on your phone. Otherwise, there will be a separate line to check in the morning of the conference and your name will be on the master list. Debit and credit cards may be used. If you would like to mail a check to the church, you will need to select “Pay by Check” in the payment options. Please mail it to Faith Community Church ASAP with “2017 Conference” in the memo. What if I am unable to attend the conference after I purchased a ticket? We will not be able to sell your ticket for you. Please try to find someone that can use your ticket and “transfer” it. What does it mean to “transfer” my ticket? You may give the paper ticket to someone else to use in your place. The new ticketholder will need to write their information at the bottom of the ticket. The ticket will need to be brought to the check-in table. There is no assigned seating. You may find your seat and put your day guide there to hold your place. There will be ushers helping to find available seats. What happens if you run out of seats? Should our conference fill to the point of being beyond our sanctuary’s capacity, we will utilize an overflow area in another section of our church. We allow only nursing infants at our conference. If it is necessary for you to bring your nursing infant to the conference, please be considerate of all the guests at the conference and remove your baby from the session as soon as he or she fusses or becomes disruptive. 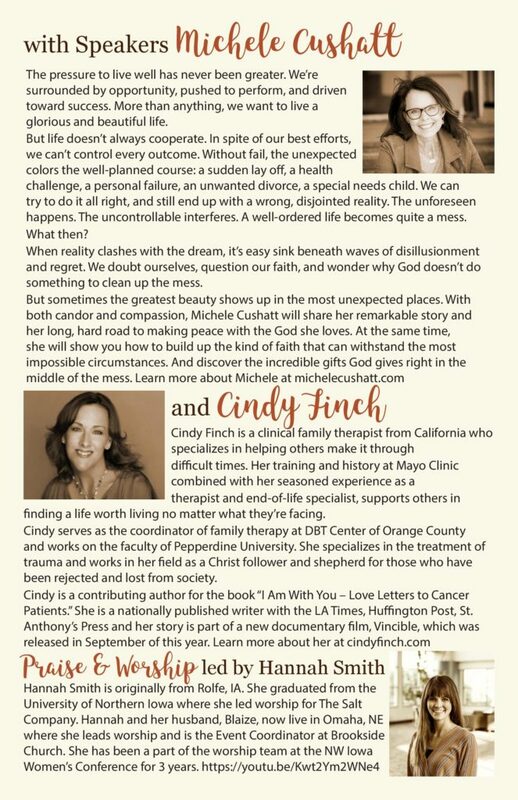 Faith’s nursery will be open & available to you and your infant during the entirety of the conference and a video feed of the conference will be available there.